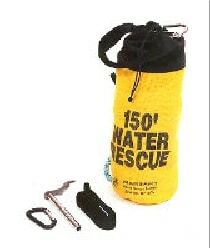 Marsars Ice rescue Carabiner with attached Thimble. 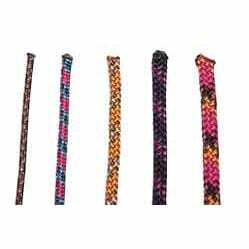 Helps prevent reattching to longer ropes in ice freesing conditions, use in place of locking carabiners. 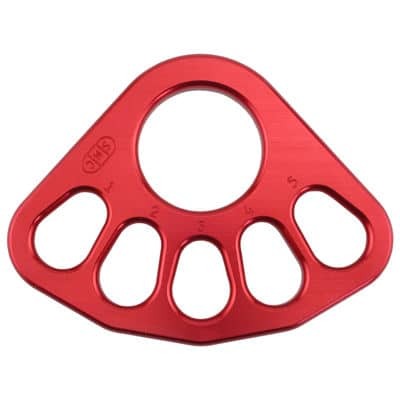 SMC Rigging plates are indispensable and help make setting up a rope system quicker and safer. SMC’s Rigging Plate is half the size of the bigger plates on the market yet it is just as strong. 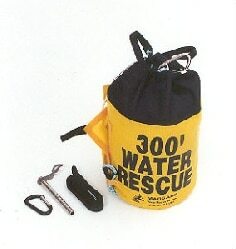 Features include a single large circular center hole that accepts numerous connections simultaneously plus five oversized, ovalized holes that are each designed to handle up to 2 large rescue. Holes are individually numbered to make it quick and easy to organize connections. 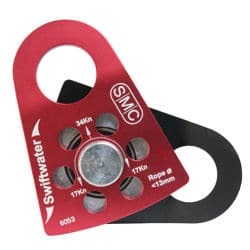 All edges on the SMC Rigging Plate have been contoured so that they are easy on rope, webbing, carabiners and other connectors. CNC machined from 1/2” thick aircraft quality aluminum and then anodized for quick identification and additional resistance to corrosion. 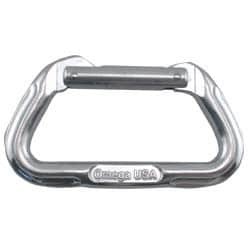 You’re looking at one of the strongest aluminum carabiners in the world. At 31 kN, it’s wicked-strong and represents the strongest and most durable design in basic functional climbing carabiners. Through ISO Cold Forging, material is put exactly where it will render the strongest design possible for a carabiner of its size and materials. 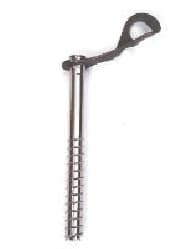 The 1/2″ Standard D Screw-Lock is certified to NFPA standards. 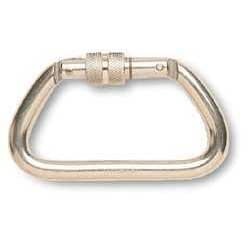 Rated at 72 kN, this is one of the strongest carabiners in the world. 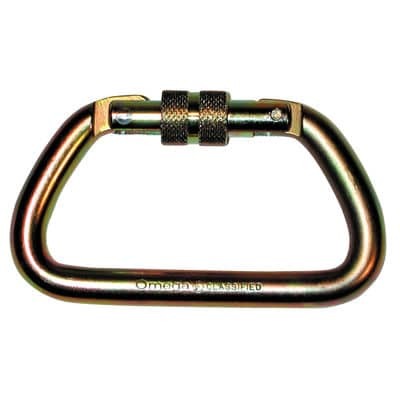 Screw locking carabiner with the same “D” shape as the 7/16″ model, but with bigger material for increased strength. Same great handling and use characteristics but with a strength rating of 65 kN (that’s over 14,000 lbs.!). 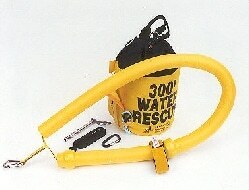 Traditional-shaped and oversized for ease-of-handling, the Locking D is a standard in the fire and rescue market. 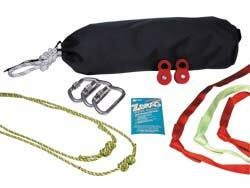 As easy to use with gloves as without, this biner works great to clear webbing, harnesses, ropes and other bulky apparatus. 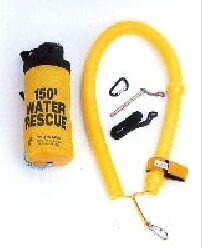 Wrap this 5′ tubular web sling around object such as tree to anchor land based ice tethers. Doubles as an emergency chest sling. 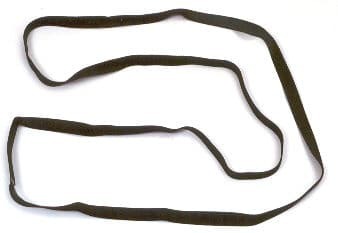 Nylon endless sling, 4000 lb. strength. 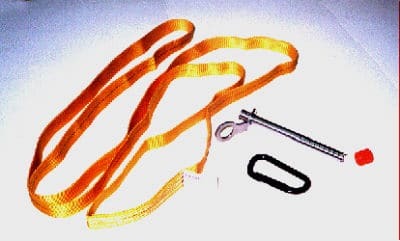 Sling, Aluminum non-locking Carabineer and Ice Anchor Screw. 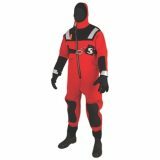 Mustangs sporty float bib pants for snowmobilers. Hot colors to match this years machines. Premium performance apparel that will keep you warm, comfortable, afloat, and looking good.